After Dalat, we were cooled and ready to hit the beaches of Central Vietnam! 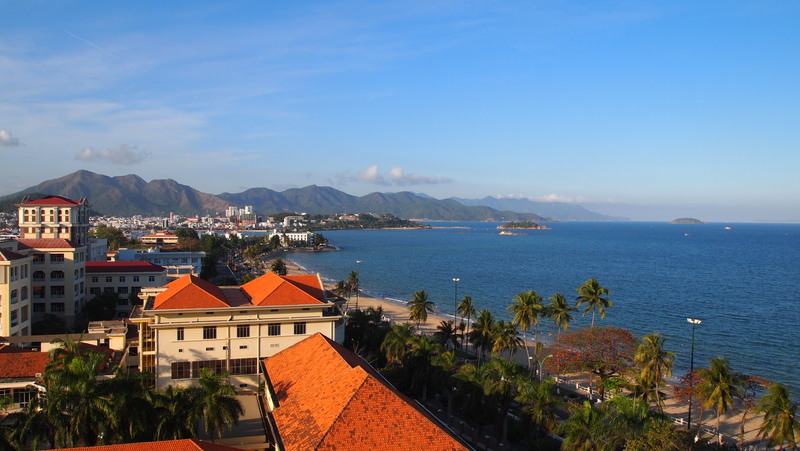 Our stay in Central Vietnam began with the popular beaches in Nha Trang where we just spent a day and a half, really. We knew it wouldn’t be our favorite spot, but we wanted to check it out, and we wanted to meet up with Mitch’s cousin and his partner again. Nha Trang is interesting in that there are a ton of Russian tourists due to the fact that the Vietnamese and Russian government have an agreement that Russian tourists may visit Nha Trang (and southern island of Phu Quoc) sans visa. So, all street signs and menus and anything written included Russian! The streets are also filled with an electric party vibe, which is why we knew it wouldn’t be our scene. It almost felt like a mini Vegas on the beach! On our single full day in Nha Trang, Jake and Thuy were so awesome and took us away from the tourist beaches of Nha Trang to a smaller beach about thirty minutes north called Long Beach. We spent the day hanging out with Jake and Thuy, drinking coconut juice from coconuts, munching on fresh seafood, lounging in the sun, and cooling off in the water. The beach was a popular spot with locals, so we watched tons of kids playing in the water and sand. 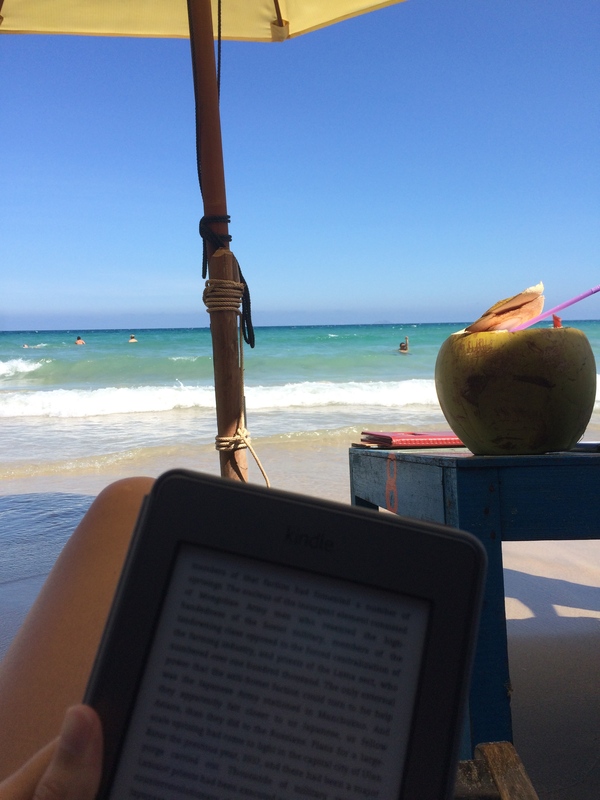 Perfect way to spend one day in Nha Trang! We miss Jake and Thuy so much already!